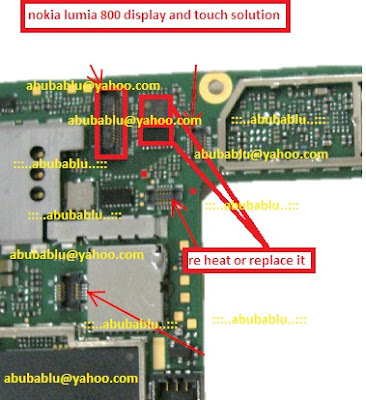 The picture below is a repair guide for Nokia Lumia 800 display and touchscreen or UI problem. The picture show what parts that need your attention. Please observe this image carefully to solve your Nokia Lumia 800 display and UI problem.